During the high season in the beginning of the year, Phuket is well-known as one of the most popular tourist destinations in the world, with its beautiful beaches, azure seas and the scores of smaller islands surrounding it. 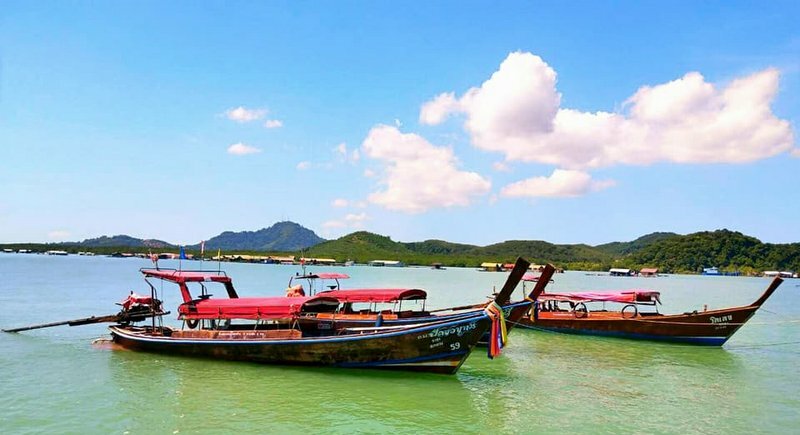 In recent years, Phuket has also increased in popularity among domestic Thai tourists who come for many of the same reasons as foreigners, including the island’s famous local cuisine. 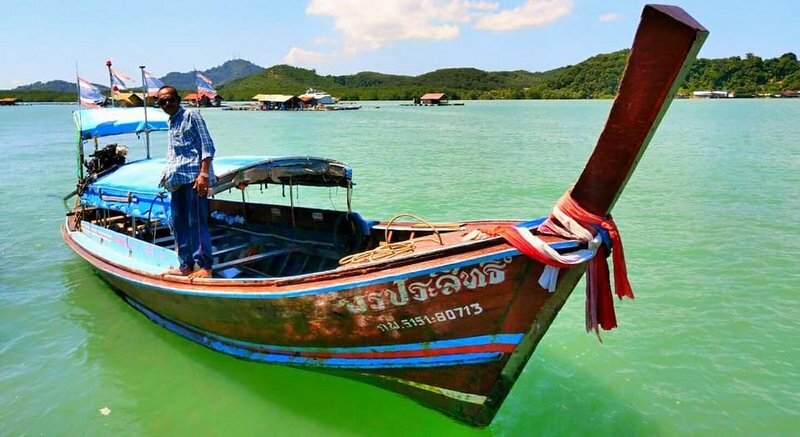 Phuket is both a destination in itself and a jumping off point for the dozens of smaller islands of Phang Nga Bay such as Koh Phi Phi, Koh Yao Noi and Koh Racha Yai. But if you are not planning to visit any of these more distant islands from Phuket, there is one island that has all the delights of these islands but is located only minutes away by boat from Phuket. 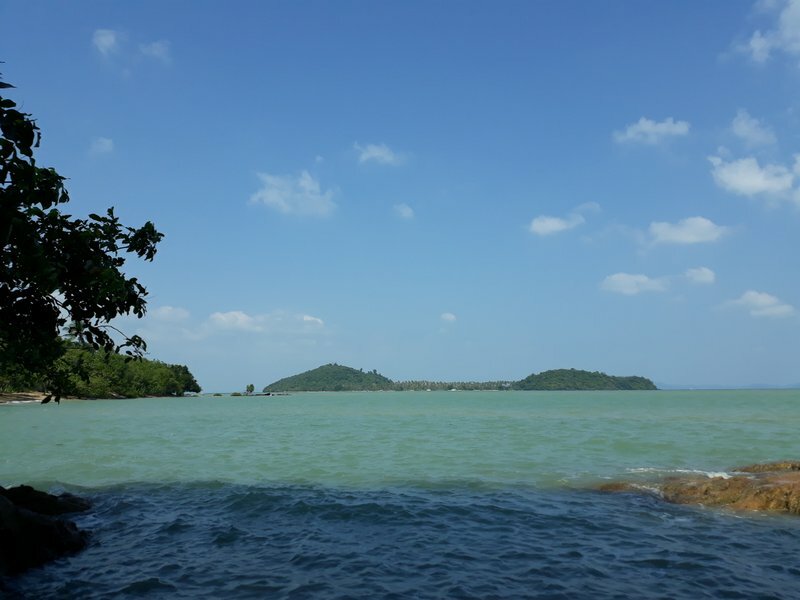 The island in question is called Koh Maphrao, which translated to English means Coconut Island, and it is actually a part of Phuket’s Koh Kaew sub-district. 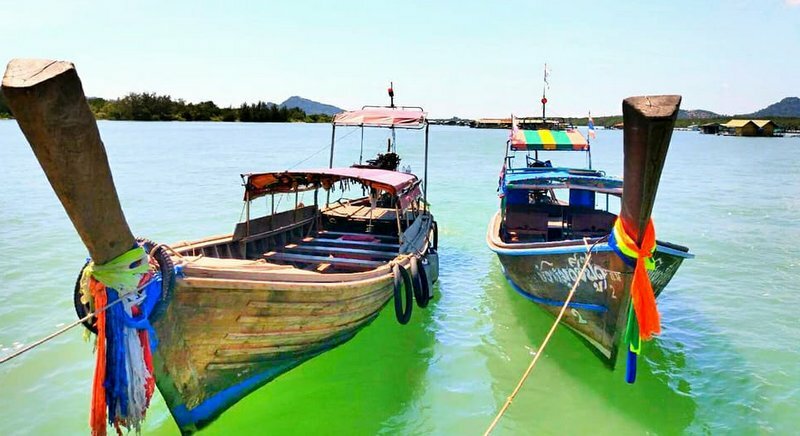 Koh Maphrao can be reached easily by boat from just north of Phuket Town at Laem Hin Pier, in fact, you can see the island right in front of you while you wait for your boat at the pier. Koh Maphrao has an area of 2,620 rai, which as you might have guessed, is packed full of the towering coconut trees that give the island its name. 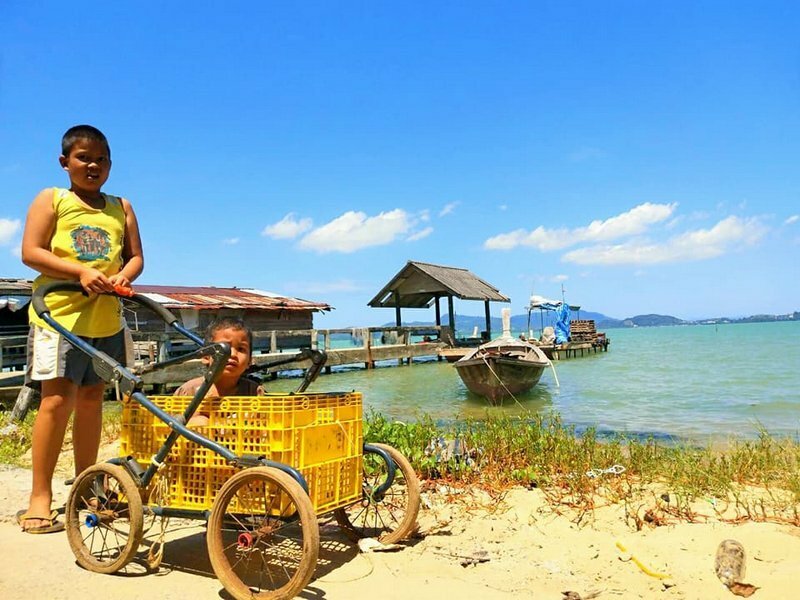 Most of villagers on the island are Muslim and still work mostly in the traditional industries of fishing, rubber tapping and coconut harvesting that have sustained the island, and many others like it, for centuries. 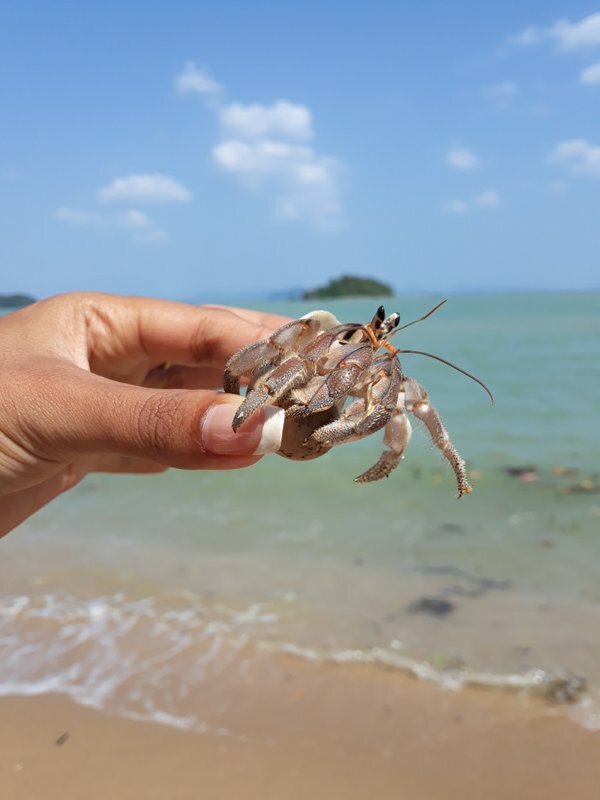 The island is teeming with wildlife and it is easy to spot many different types of marine animals such as crabs, fish, shellfish and hermit crabs on its sandy beaches. 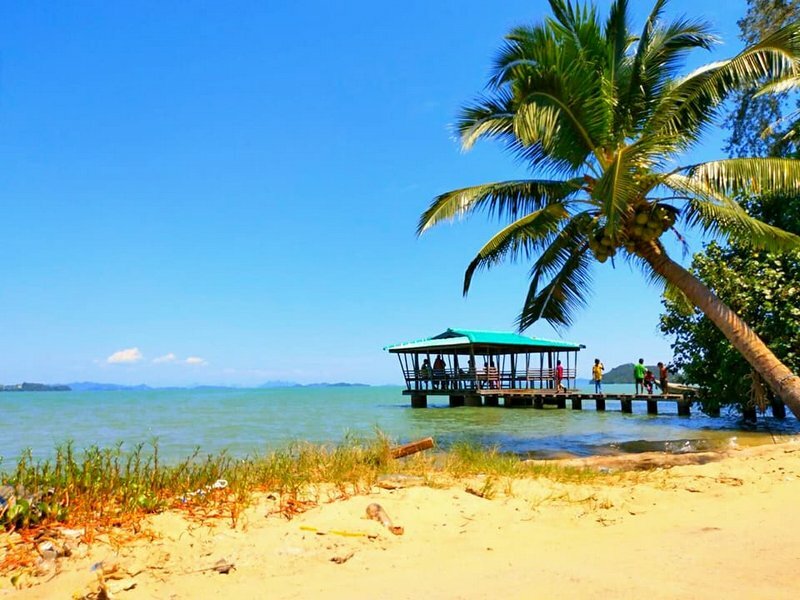 There are just two piers on the island, one located on the western beach to transfer day-trippers and tourists visiting the island’s resorts and guesthouses and other in the north, which is used by the local fishermen. There are plenty of accommodation options on the island, from cosy natural bungalows amongst the trees to a large five star resort called The Village. There are also various food shacks and bars to service the visiting tourists. 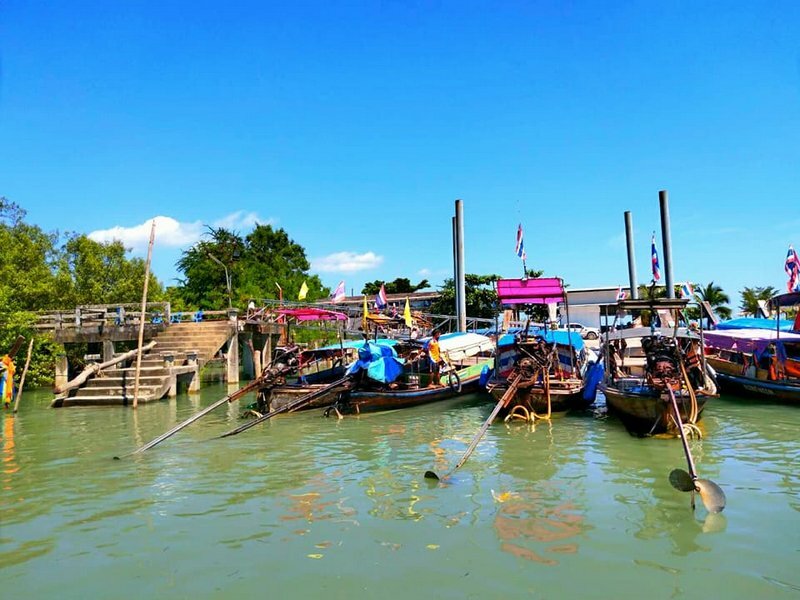 Despite being just a few minutes away from Phuket – its noisier, busier brother – Koh Maphrao has a completely different and peaceful atmosphere, making it a perfect example of Southern Thailand’s famous natural beauty. 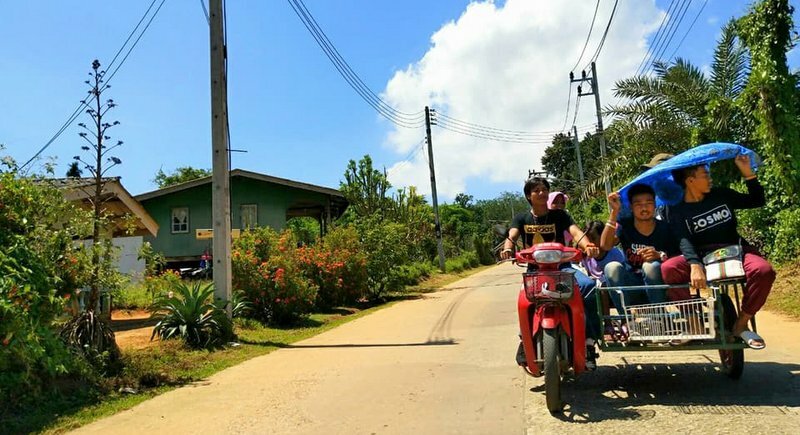 Trees line the beaches swaying in the wind, as the local villagers go about their daily routines seemingly a world away from the shopping malls, nightclubs and party towns of Phuket. The laid-back island offers a wide range of food and accommodation that will suit every budget, making it a great place to hop over to for the weekend and explore without breaking the bank – another reason why it is a popular choice for both Thais and local expats. Many visitors simply enjoy exploring the nooks and crannies of the island in search of the perfect sunbathing spot or a patch of sea to go snorkelling and observe the beautiful marine life. There are three beaches; the western beach at the pier, the beach in front of the village and the beach on the east of the island, however the beaches at the pier and village are not as pleasant for swimming as the eastern beach. 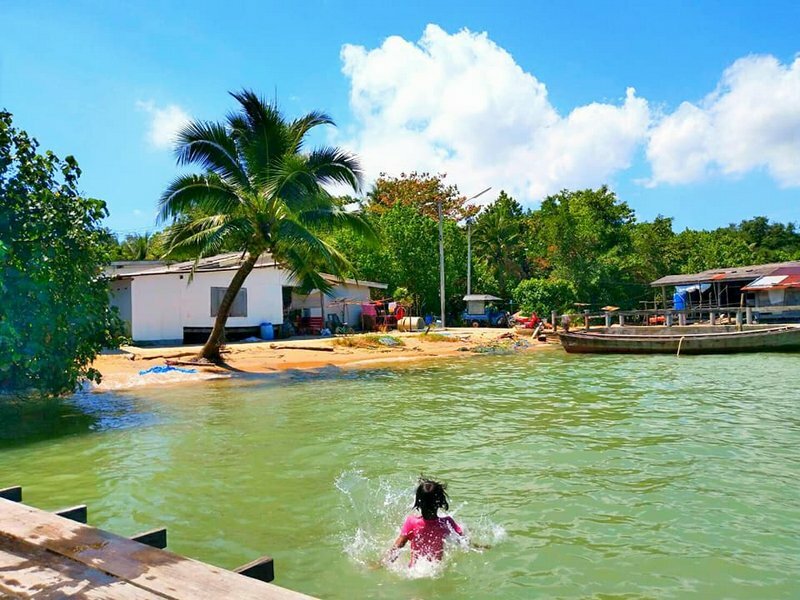 Hence, most tourists go to swim on the white sand beach located on the island’s east coast, where there are also a host of other activities to do, such as visiting a traditional fishing village, nature walking, cycling around the island, fishing from a longtail boat and visiting a working pearl farm. The waters surrounding Koh Maphrao are filled with fish, many of which make for excellent eating, if you are a keen angler, simply chat to one of the local longtail boat operators about hiring their services for a full or half-day fishing tour, there are also places you can cast a line from the beach or rocks, but they might be a little harder to discover without local knowledge. 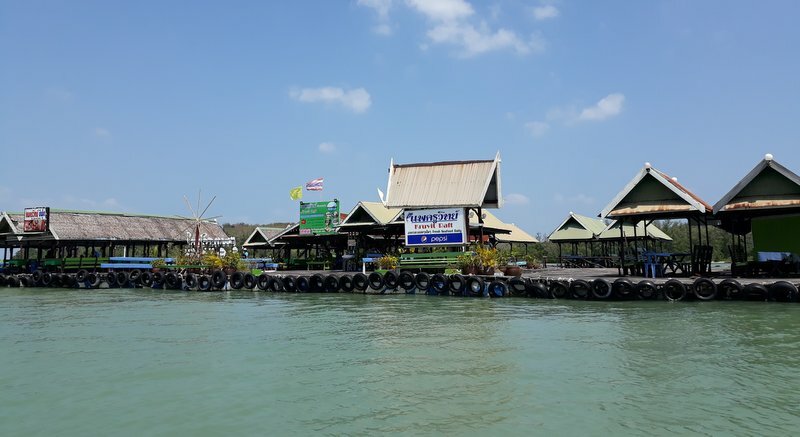 To get to Koh Maphrao you can pay just B20 to jump on a longtail from Laem Hin Pier, or for a bit more, you can catch a speed boat from Royal Phuket Marina, both options take about 10 minutes to get to the island. 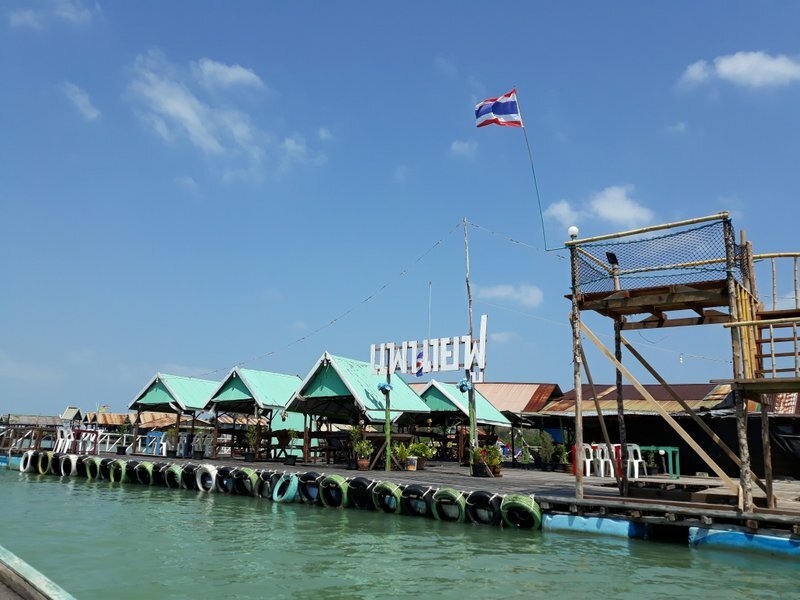 On the way to the island, you will pass several “floating restaurants” out on the water, which are a well-known attraction popular with local and visiting Thais. 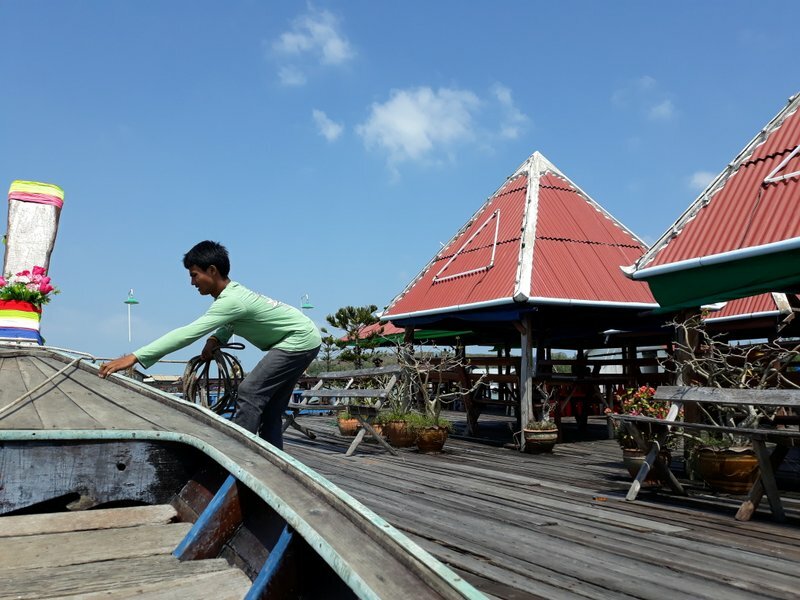 Even if you’re not visiting the island, you can ask a longtail driver to take you out to the floating restaurants to experience some authentic Southern Thai cuisine for a reasonable price in this wonderfully unique setting – and as long as you are dining, the longtail ride is free! 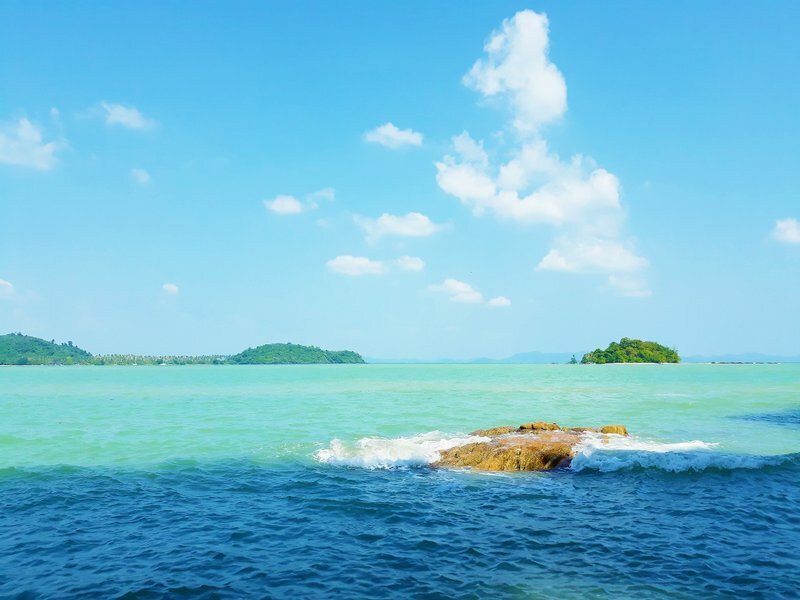 So if you are looking for the perfect place to relax and forget about your troubles for a while, then now is the perfect time to plan a visit to peaceful Koh Maphrao.